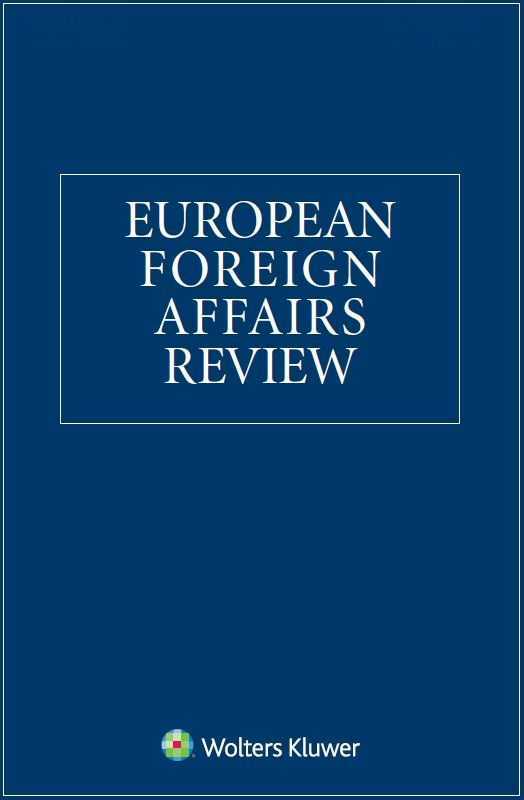 The European Foreign Affairs Review considers the external posture of the European Union in its political, legal and economic relations with the rest of the world. It provides an interdisciplinary medium for the understanding and analysis of foreign affairs issues of relevance to the European Union, its member states, and its international partners. The Review will function as an interdisciplinary medium for the understanding and analysis of foreign affairs issues which are of relevance to the European Union and its Member States on the one hand and its international partners on the other. The Review aims at meeting the needs of both the academic and the practitioner (government officials throughout the world dealing with EU matters, parliamentarians, EU officials, officials of international organizations, executives of multinational corporations, specialized journalists and policy-makers in general). In doing so the European Foreign Affairs Review will provide a public forum for the discussion and development of European external policy interests and strategies, addressing issues from the points of view of political science and policy-making, law or economics. These issues will be discussed by authors drawn from around the world while maintaining a European focus.